Home > Publications > The EU must seriously rethink its approach to climate and energy. The EU must seriously rethink its approach to climate and energy. The European Council of October 2014 has to adopt fundamental decisions for the future in the area of climate and energy. Because of the recent disturbing headlines, the media have not spoken much about it. Yet the climate threats remain and Europe’s energy situation has already deteriorated. Clearly, it is essential now to reflect in depth about both the achievements and also the weaknesses of the 2008 strategy. In recent weeks there have been many upsets and disturbing headlines (the resurgent economic crisis, Ukraine, ISIS, Ebola, the new Commission’s hearings). Consequently, the very long-term perspectives of climate and energy have largely disappeared from the media horizon. This is understandable but regrettable given that the European Council of October has to adopt fundamental decisions for our future. First of all, the climate and energy threats remain. As the latest Intergovernmental Panel on Climate Change report indicates, global warming is already underway, sometimes at a rate more rapid than was anticipated ten or twenty years ago. There are more climatic events and extreme temperatures. In some areas, agricultural production has already been seriously damaged. The sea level is rising. Ice is melting quickly at the poles. Europe’s energy situation has already deteriorated, for different reasons. Aside from the problem of greenhouse gas emissions, Europe has been suffering from rising energy prices, rising external insecurity and various forms of disorganization in national markets. This is critical. Reform would be mandatory even if the climate threat was nonexistent. Public opinion generally overlooks this, and the dangers must thus be strongly emphasized. To be fair, some of these problems have been compounded by the Climate and Energy Package adopted by the European Council in 2008. This new strategy was extremely ambitious, the objectives were right, but alas, some tools were obviously not adapted to such a high level of ambition. (Furthermore, many international factors altered or were not envisaged when the package was drafted.) Clearly, it is essential now to reflect in depth about both the achievements and also the weaknesses of this strategy. Those who do not understand the lessons of the past are bound to repeat it. What are the problems? Firstly, the Emissions Trading System (ETS) is still a malfunctioning mechanism for pricing energy. The price was meant to be at least around 20 euros/tCO2. After two crashes, it remains at around 5 or 6 euros/tCO2. It’s certainly not been a resounding success. This malfunction distorts the whole pricing of energy. Secondly, the promotion of renewable electricity has generated quite a mess. The renewable electricity sector has expanded, but at the price of more instability for other sources, especially gas. The second problem lies with the important collateral damages caused by the rise of renewables. In the biofuels sector, the first generation is clearly not sustainable, and the second generation clearly not ready. In the renewable electricity sector, there are different problems. The necessary development and upgrade of networks has not been realized. The stability mechanisms that are needed to deal with production fluctuations were not in place. National subsidies have been organized in an inflexible and uncoordinated fashion. All this has led to a substantial renationalization of policy, and the inevitable degradation of the energy single market. This does not mean, of course, that renewables must not be developed. However, this must be done in a more sustainable, coordinated and economic way. The third problem lies in the limited progress of energy efficiency. According to all scenarios, energy efficiency has to support more or less 50% of the decarbonization of the EU economy in 2050. We remain, alas, very far from that target. Obviously, in 2008 there was a general underestimation by the Member States of the requirements of decarbonizing the economy. This is quite understandable, the more so considering the complexity of the project and the multiple changes in the international context. However, it is now time to correct this underestimation. It is, in fact, essential. Energy is a very long-term economic sector, with slow-building timelines and very progressive returns. We thus live now with the consequences of decisions sometimes taken 30 or 40 years ago, and this will not change. In 2050, we will live with the consequences of decisions taken now. Many power plants are becoming obsolete in Europe and their replacement must be foreseen now. The reorganization of networks must also be planned. Stronger networks that are more efficient and more adaptable to the fluctuations of renewable electricity, require a lot of care. Finally, the respective role of the EU and the Member States in this domain begs serious reflection. Decentralization remains the trademark of the energy single market. This is normal. The EU has always progressed in this fashion, experimenting first with a soft coordination, and correcting it according to the results. However, it’s worth asking whether this does not also explain the multiple problems faced today. Should the EU institutions be endowed with more power to stabilize the ETS mechanism? Should European network planning be strengthened? Should the conditions for renewable electricity support be harmonized? 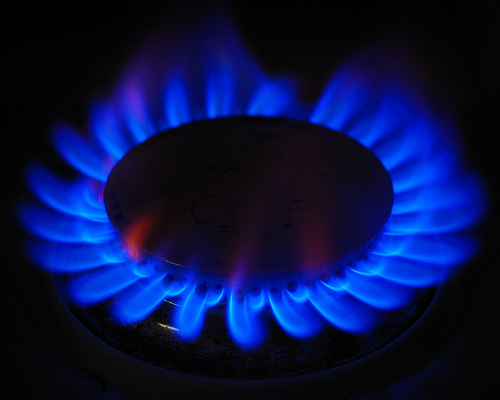 Should the EU budget for energy networks be ramped up? These questions may seem disconnected from the headlines of the autumn. They are not. The economic crisis in Europe is perpetuated by a lack of investment. In this context, the expansion of energy investments could provide the strong contribution to growth that is required. They could also improve competitiveness. Furthermore, the Ukraine crisis and the rise of ISIS have one common element: the EU’s growing external energy dependence. Russia and the Middle East possess the world’s most important reserves in oil and gas. A better climate and energy strategy would also strengthen the geopolitical position of Europe. The copyright of this commentary belongs to the Egmont Institute. It can be quoted or republished freely, as long as the original source is mentioned.? Green Diplomacy Network – what is in a name?